From La Rochelle to Toulouse : a 500 km-training! From La Rochelle to Toulouse : a 500 km-training ! So that we can put a bit of butter on the bread during our world tour (we may also need it to buy the bread as well! 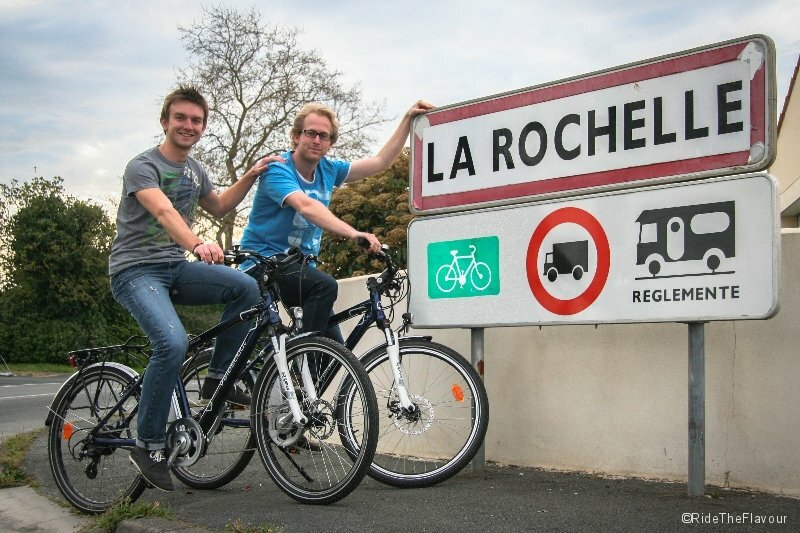 ), we are giving private lessons in La Rochelle. We thus cannot leave La Rochelle and disapear whenever we want. But school holidays have just started in La Rochelle… and our students are not the only one to enjoy it ! 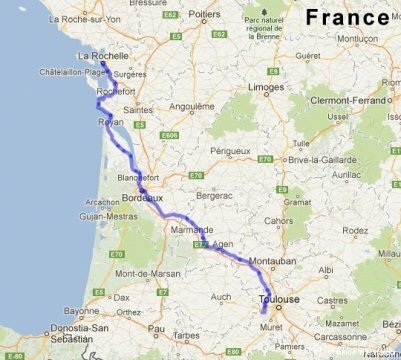 In 4 days, we will start riding our electric bikes towards Toulouse. It will be the perfect opportunity to test our equipment and, quite simply, to discover what being a cycling tourist means! So far, we’ve prepared our world tour thanks to our predecessor’s stories. It is now time to take the plunge and learn from our own experience! A big thank-you to Veloscoot, who gives us two Apollon bikes for the occasion. And let us tell you something, our first kms with them suggest a really nice experience! 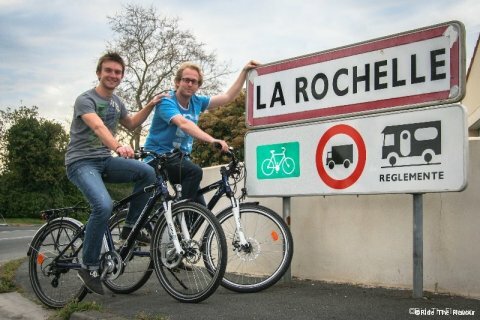 Our bikes arrived in La Rochelle without a hitch, ready to eat up the 500 km leading to Toulouse! You will find our itinerary in the following lines (read more). DEPARTURE NEXT SATURDAY, 20th APRIL ! 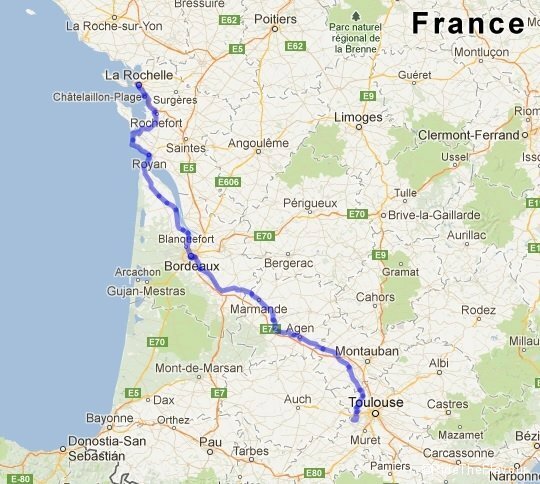 Here is the itinerary we will follow to rejoin Toulouse, and more precisely Fontenilles, where Leo’s parents live. As we were explaining, the journey will allow us to test our equipment. Even a sudden downpour would be welcomed: it would give us the opportunity to test our waterproof clothes! Stay with us, we will detail our equipment as we will fill our bike bags! So departure in 4 days, smiling, for one cycling toursim week!